Cloud Trader Review - Cloud Trader is a Scam! Cloud Trader found at cloudtrader.co promises to make you $1,250 every single day, but don’t be fooled. Cloud Trader is a scam. Read our in-depth Cloud Trader review before you fall into the trap! The alleged owner of Cloud Trader app, Matthew Shepherd describes his software as a proven method to make guaranteed profits every single day. The homepage of Cloud Trader scam, cloudtrader.co cleverly target your location (in my case, Singapore) via a geolocation script to give you an illusion that the opportunity is only available in your country. In fact, the scam is being promoted in many countries around the world, and every day there are new victims who submit themselves to a financial headache by falling for the scam. 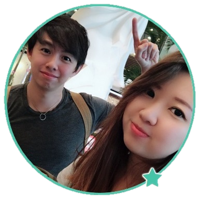 Apparently, Cloud Trader scam is targeting total newbies who have zero experience in binary options industry. No responsible auto trader software would claim 100% win rate and “no risk” when it comes to trading binary options. Anyone who have had experience trading would recognize the lies right away. However, for the less experienced, we are here to crack the scam. Did Cloud Trader really make its debut in December 2012? 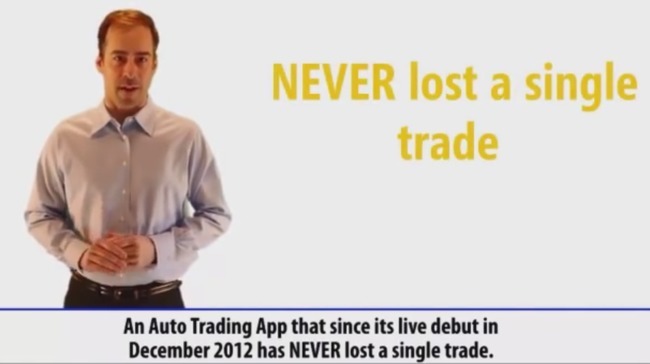 At one point of the sales video, Matthew Spencer claims that Cloud Trader app has made its live debut in December 2012, and it has never lost a single trade. Since 2012, Cloud Trader has brought consistent profits for its members. Is Cloud Trader app really that impressive? To ascertain what he said is true, we decided to find out when exactly was cloudtrader.co established. Keep in mind that Cloud Trader app can only be accessed through cloudtrader.co, and nowhere else. Which means, the members of Cloud Trader app had to acquire the app through its official website. A simple whois inquiry was enough to prove that Matthew was lying. Whois information is publicly available information of websites, including their dates of creation and expiration. According to whois information of cloudtrader.co, the website did not exist back in December 2012. The website was only created on Mar 2016, which was just a few days before this review. And of course, Matthew Spencer did not provide a SINGLE valid evidence about his claim of 100% win rate. It was just a lie to entice the potential victims to sign up with the scam. If you scroll down the homepage of Cloud Trader scam, you’ll come to a section where they display what seems to be live Facebook and Twitter feeds. At first glance, these testimonials appear to be extremely credible. Stay vigilant, because this is just a trick by Cloud Trader scam to confuse its victims. The scam is using the reputation of Facebook and Twitter to deceive internet users. Try clicking on any profile or links within the “live feeds”. You’ll realize that nothing can be clicked, and the user profiles lead to nowhere. Why is this happening? These are actually just a wall of texts customized to look like Facebook posts and Twitter feeds. None of the names and profiles is real. If you want to verify the authenticity for yourself, you can look for any of the names shown in the page on Facebook or Twitter. You won’t find anyone with the name and matching profile picture. This is perhaps one of the BIGGEST mistakes made by Cloud Trader scam. The scammers behind Cloud Trader stole pictures from the internet to fabricate their “member profiles”. 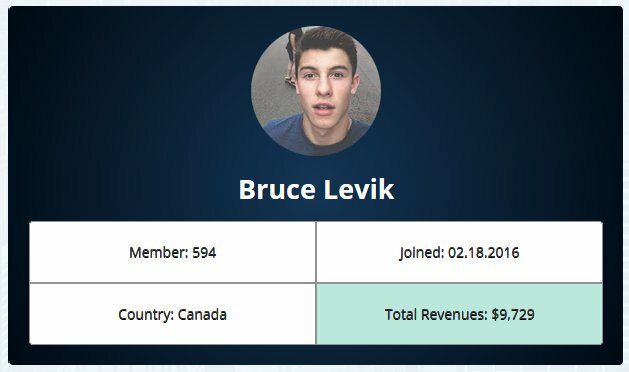 Little did they know that Bruce Levik, a fake member profile they have generated actually used a picture of a celebrity. The original owner of this picture is Shawn Mendes, a Canadian singer-songwriter and model. You can view the original picture in Instagram here. It does seem like the scam was put together in a hurry, and the scammers didn’t even bother to find out the real identity behind the stolen picture. If Cloud Trader scam really works as Matthew claims, why would they need to use bogus social testimonials and fake member profiles to boast their “profits”? The truth is, the scammers are out to get your money, but Cloud Trader app doesn’t work at all! All it will do for you is to lose all your investments in a heartbeat, just like many other binary trading softwares out there. YES, CLOUD TRADER IS A SCAM. We strongly advise you to stay away from the scam if you don’t want to lose your hard-earned money. TrianaSoft Review – TrianaSoft is a Scam!